Happy Thursday! I hope you are all having a wonderful week! My week has been absolutely packed and I am definitely looking forward to some downtime this week... and sleep! I'm exhausted! Today, I'm rounding up eight of my recent Instagram with details about sizing, fit, and more. I have been living in pink, cozy chenille, and comfortable shoes lately! 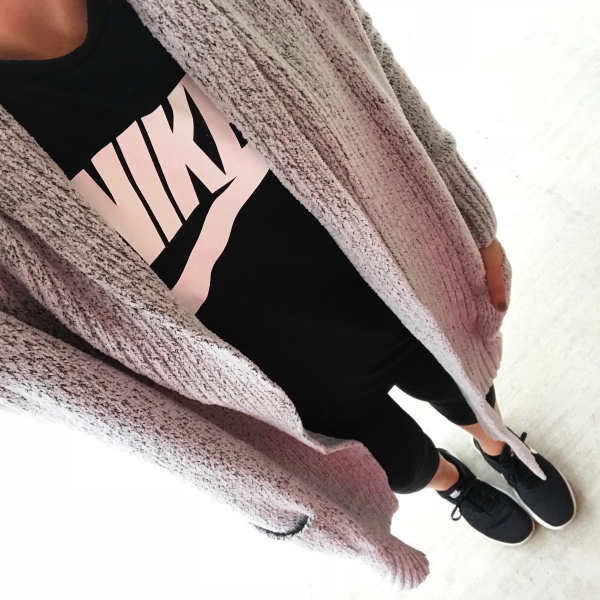 Cardigan | This is so soft and fits true to size. I'm wearing a small. Cropped Leggings | True to size. Shoes | True to size and the most comfortable shoes I have ever worn. Top | I sized up to a medium for a looser fit. Sweater | I sized up one size for extra length. 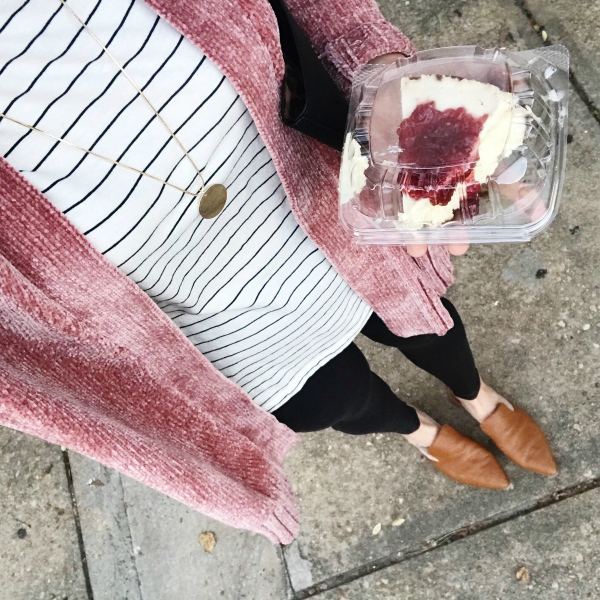 This is my favorite pullover sweater! Jeans | True to size. This is my current favorite pair of denim! 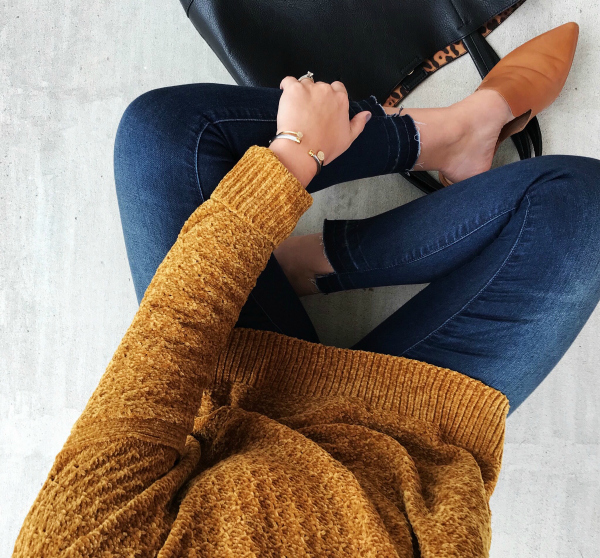 Bag | My go-to bag and it's lined with leopard print. Mules, similar | I always size up a half size in mules for the perfect fit. Door Mat | I love the gold lettering and it's under $12! 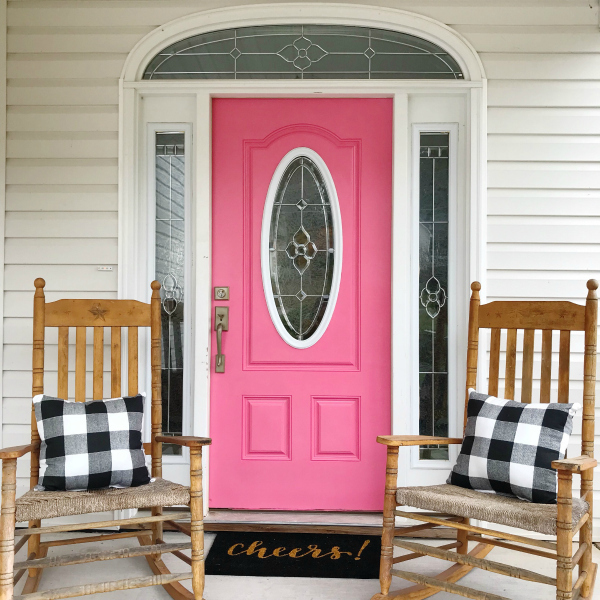 Pillows, similar | I love how the plaid pairs with my pink door. Ankle Boots | True to size. The color is lighter than they appear on the website. This photo is true to the actual color. The heel height is perfect for everyday wear! Dress | This is my favorite dress that I have shared over and over! Size up one size for the most comfortable fit. I have this dress in two colors! 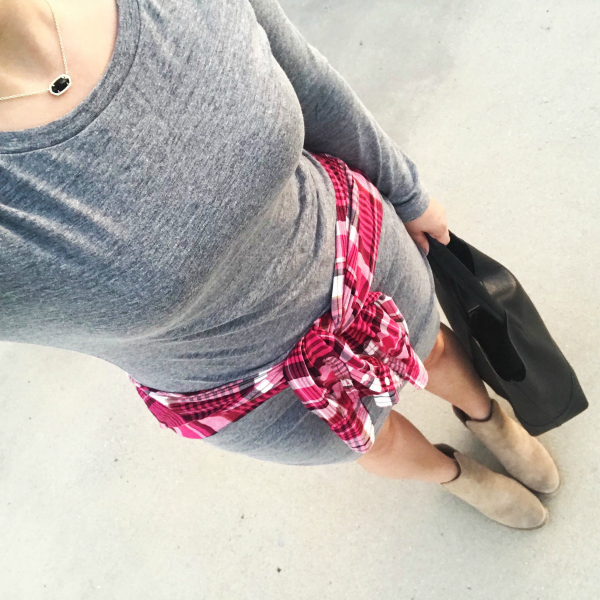 Shirt, similar | I love tying a shirt around my waist for extra coverage and a pop of color. Necklace | I love this style! I have this necklace in four colors. Shoes | Run very big! I normally wear an 8.5 and I needed a 7 in these. 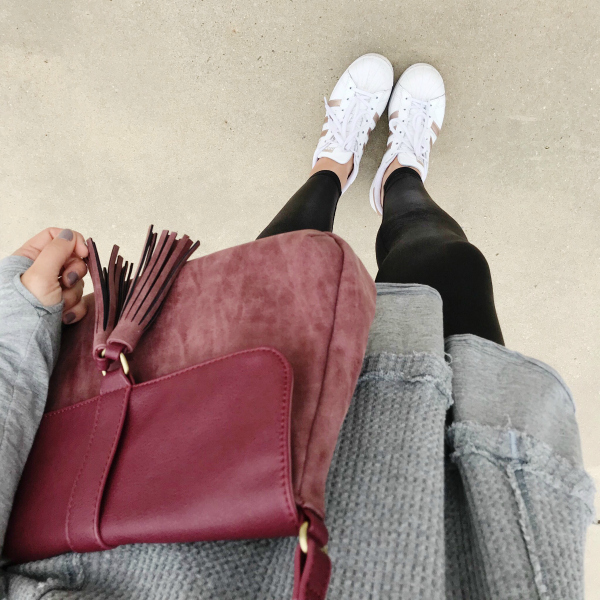 Bag, similar | I love this berry color for fall! Leggings | True to size. I'm normally a 27/4 in pants and the small fits me perfectly. Top | True to size. 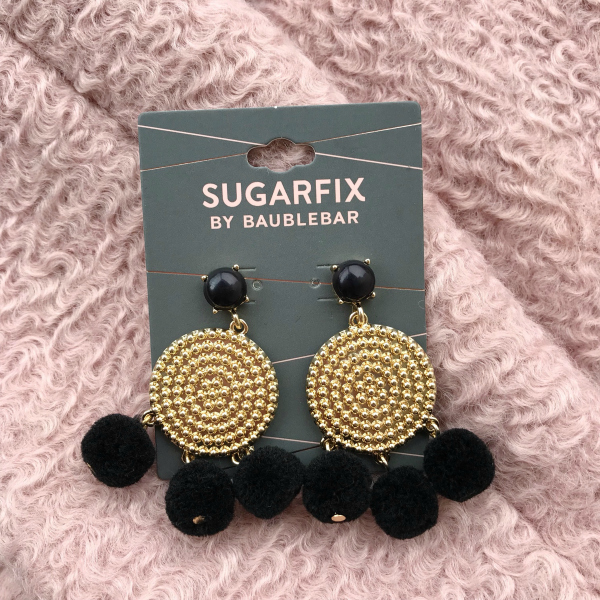 Statement Earrings | These gorgeous earrings are surprisingly lightweight. Coat | True to size and so cozy! Vest | So soft! I sized up one size to layer over sweaters. Top | Also seen in this post. I sized up to a medium. Scarf | This is my favorite scarf. I love the print! 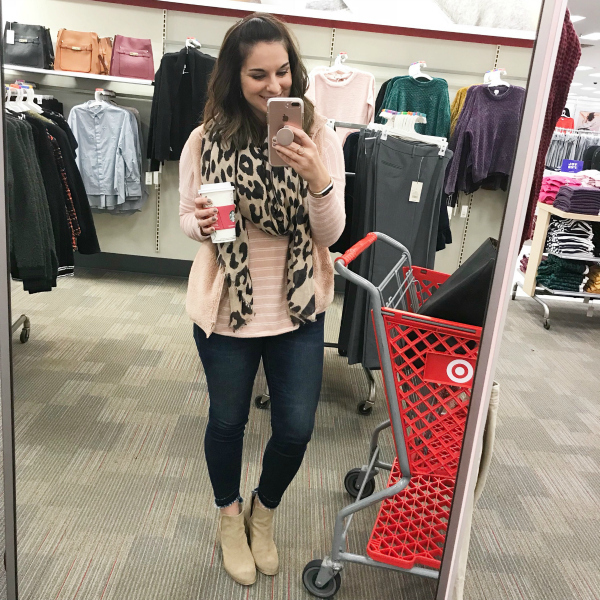 Cardigan, similar | Chenille is my favorite for fall and winter! Tee | True to size and it's leggings friendly!